Office 365 For Colleges is now free. With the sensational uptake of Microsoft Office 365 by big business and corporates around the world, Microsoft has turned its attention to the education sector. Microsoft recently announced an unprecedented move towards a free cloud platform for academic institutions. Microsoft Office 365 Education is now free for all qualifying academic/educational institutions. Through Office 365 Education institutions will have the seamless ability to ensure collaboration between students and teachers is at the heart of learning. 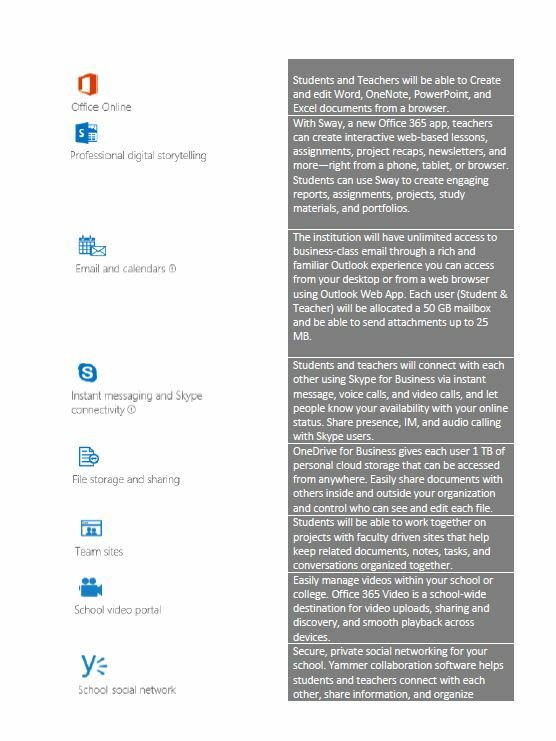 Microsoft Office Education aims to empower teachers and students with free email, web sites, online document editing, messaging and web conferencing. Educational institutions (especially technical colleges) in South Africa can now benefit immensely from a first class cloud platform by having all students and lectures in one platform. Through technologies like Yammer, Skype for Business and SharePoint, students and teachers alike will be linked and locked on the waist by technology. Microsoft Office skills are ranked Number 2 in top skills required by corporate companies, office skills for college students are a critical factor for employment and career progress.